While plastic surgery remains a go-to option, Hollywood actors get the ol’ nip-and-tuck digitally, too. 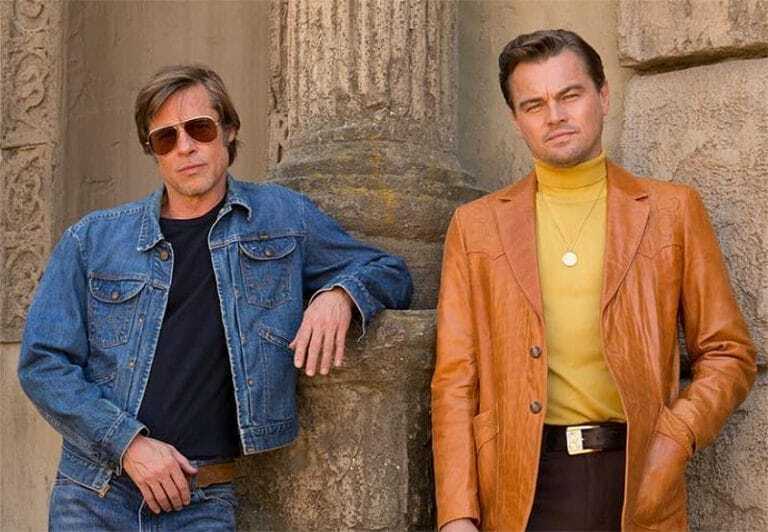 Back in June, the first set photo for Quentin Tarantino’s “Once Upon A Time In Hollywood” was released, featuring Leonardo DiCaprio and Brad Pitt as the out-of-work actor/stuntman duo Rick Dalton and Cliff Booth. But it seems that Sony accidentally uploaded a press file that, when loaded into Photoshop, showed that alterations were made to reduce DiCaprio’s chin and remove wrinkles from Pitt’s neck. The altered photo can be seen above, followed by the unaltered version. In the upcoming film, DiCaprio and Pitt’s characters look for one last chance at a big film in a Hollywood that has long since left them behind. But their lives are flipped upside down when their next door neighbor, Sharon Tate (Margot Robbie), is infamously killed by Charles Manson and his cult. “Once Upon a Time in Hollywood” will be released July 26, 2019. Page Six first reported news of the photo flub.